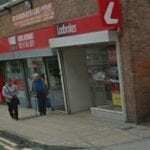 This page shows details of Ladbrokes on Matilda Street in Sheffield so you can find out everything you need before visiting. We have included a full map, opening hours and latest offers from this brand. Below is a map showing where this Ladbrokes shop is located so you can easily find it if you would like to place a bet on your favourite sports. Here are a few photos of the shop which shows where it is located on the high street. 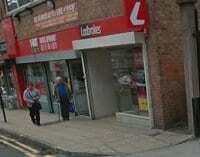 It is close to many other shops and amenities as it is in the city centre. Here are the full opening hours for this branch of the bookmaker, so you can check when it will be open if you want to be on a particular event. 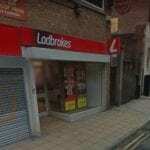 Ladbrokes is a licensed Betting Shop located at 6-8 Matilda Street in SHEFFIELD S1 4QD. The license status: Grant by Sheffield City Council as at 27/04/2011. The city is in the eastern foothills of the Pennines, and the valleys of the River Don and its four tributaries, the Loxley, the Porter Brook, the Rivelin and the Sheaf. 61% of Sheffield’s entire area is green space, and a third of the city lies within the Peak District national park. There are more than 250 parks, woodlands and gardens in the city, which is estimated to contain around 4.5 million trees. Sheffield has a long sporting heritage. In 1857 a collective of cricketers formed the world’s first-ever official football club, Sheffield F.C., and the world’s second-ever, Hallam F.C., who also play at the world’s oldest football ground in the suburb of Crosspool. Sheffield and Hallam are today Sheffield’s two major non-league sides, although Sheffield now play just outside the city in nearby Dronfield, Derbyshire. Sheffield and Hallam contest what has become known as the Sheffield derby. By 1860 there were 15 football clubs in Sheffield, with the first ever amateur league and cup competitions taking place in the city. 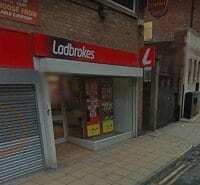 Many people use a Ladbrokes calculator to work out the potential winnings for certain bets they place on football. Sheffield is best known for its two professional football teams, Sheffield United, known locally as The Blades, and Sheffield Wednesday, known locally as The Owls. United, who play at Bramall Lane south of the city centre, and Wednesday, who play at Hillsborough in the north west of the city, both now compete in the Football League Championship following United’s promotion from League One at the end of the 2016–17 season after a six-year absence. The two clubs contest the Steel City Derby, which is considered by many to be one of the most fierce football rivalries in English Football. The Sheffield Eagles RLFC are the city’s professional Rugby league team who play their matches at Owlerton Stadium. They currently play in the second tier of the professional league, the Championship and are current champions, having won back to back titles in 2012 and 2013. Their most successful moment came in 1998, when, against all the odds they defeated Wigan in the Challenge Cup final, despite being huge underdogs.